The social welfare corporation Shuzenkai originates from a foundation Shuzenkai, which was founded by ITO Jirozaemon Suketami, the first president of Matsuzakaya, in 1933 in order to contribute to society in the rest of his life. The mission statement of Shuzenkai is “Abjure all evil and practice all good,” which is the family code of the Ito. It is from the teaching of the Buddhist scriptures saying “Refrain from all evil and practice all good. To this end, purify your mind and be selfless.” Based on this mission statement, we operate an infant home, a nursery school and a night nursery school. Shuzenkai has a history of more than 80 years at Shinsakae 3-chome, Naka-ku, Nagoya. 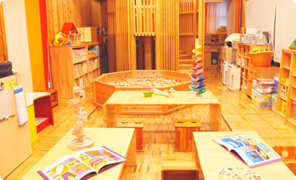 The users of Shuzenkai Nursery School include some three generations of families. It is thanks to the support many people have given to our activities that we could draw close to children in the region and move forward together with them until today. We sincerely appreciate all of them. Early childhood from zero to five years of age is an important period to build a foundation of health and develop sensitivity. We are taking care of children with single-hearted devotion using long experience and rich knowledge so that children can grow up strong both physically and mentally. 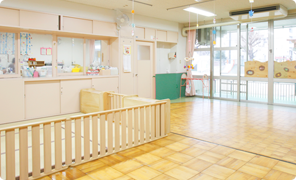 Some foreign children use our facilities due to the central location of Nagoya, and, in addition, there are welfare facilities for the aged nearby. Thus communication with various people gives children valuable experience, which helps broaden their horizons. In this era of women becoming more active, child welfare needs are changing. While the birth rate is declining, the number of children seems to increase in urban central areas. With an eye on the movement of the age, Shuzenkai will remain committed to providing finely tuned good welfare services and various information on child rearing, childcare and education in a manner that caters to the needs of the region. The company name of the Shuzenkai social welfare corporation originates in the Buddhist scriptures used as the family precept of the company founder, ITO Jirozaemon Suketami, the first president of Matsuzakaya, which reads "諸悪莫作衆善奉行" (Shoaku Makusa Shuzen Bugyo). 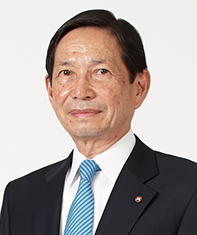 Thanks to donations by ITO Jirozaemon Suketami, establishment of "Shuzenkai" incorporated foundation is approved in order to manage and provide social welfare and assistance. Construction begins on Jiyukai home for mothers and children. His Imperial Highness The Prince Takamatsu observes completion ceremony. The "Shuzenkai" neighborhood facility in Shimo-okuda-cho, Naka-ku, Nagoya (now Shinsakae 3-chome) is completed. Provides child care, medical clinics, vocational offices, study rooms as well as social work staff and nursery school teacher training area. Kaminagoya Wakoen Nursery School opens. Approval is received to establish infant day care center and refurbish 25 infant home. Approval is received to restructure company from incorporated foundation to social welfare service corporation. Approval is received to open Shuzenkai Nursery School. 50th anniversary of Shuzenkai's establishment. Annex (structural relocation) in Shinsakae 3-chome, Naka-ku, Nagoya (current location) is completed. On-site childcare counseling room and clinic, infant home (55 children), nursery school (90 children) and night nursery school (30 children) are established. 60th anniversary of Shuzenkai's establishment. "Shuzenkai - 60 years of progress", 60-year history book is published. Infant home "night duty room" is renovated to "childcare support visiting room". 80th anniversary of Shuzenkai's establishment. Repairs are made to building facilities such as exterior walls. Copyright © Shuzenkai All Rights Reserved.